FEW THINGS ARE MORE IMPORTANT THAN A FATHER SPENDING QUALITY TIME WITH HIS SON. MAKE LASTING MEMORIES AS YOU PARTICIPATE IN UNIQUE ACTIVITIES, FELLOWSHIP WITH OTHER FATHERS AND SONS, AND SIT UNDER PRACTICAL PREACHING FROM GOD’S WORD. 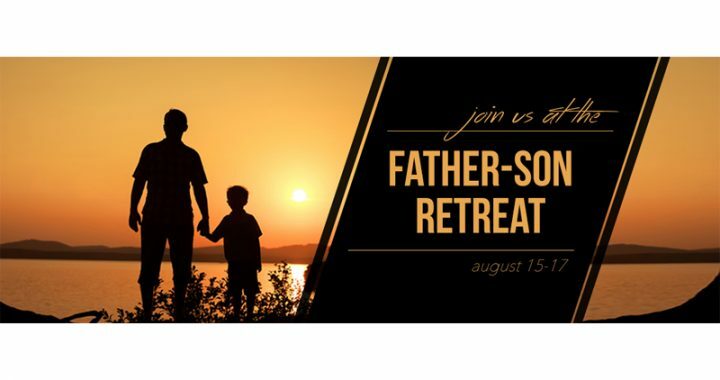 INVEST IN THE ETERNAL AT OUR FATHER-SON RETREAT NEXT SUMMER! August 15-17, 2019 – Register now or mark the dates!